British chef Jason Atherton’s bright and breezy all-day diner presents its à la carte brunch menu in both its ground-floor café (complete with its lovely al fresco dining area) and more intimate restaurant upstairs. Wherever you choose to park yourself, the dishes won’t disappoint. You can opt for relatively healthy – think bircher muesli, avocado on toast and quinoa bowls – or calorific but worth it: truffle mac ’n’ cheese, lobster Benedict and pulled lamb sourdough pizza. 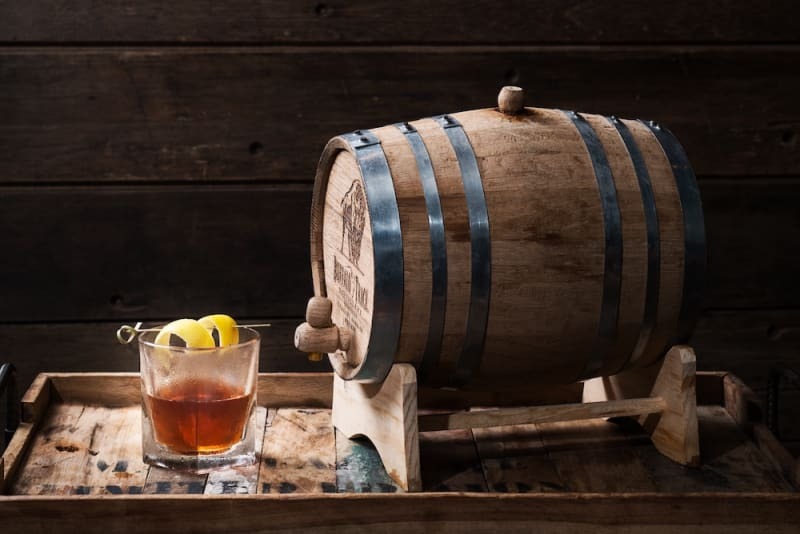 Alongside your brunch, Ab Street’s cocktails make for mighty fine sipping. These clean and cool Wanchai neighbours are the brainchild of young French wonder chef Akrame Benallal. Michelin-starred Akrame is the fine dining big brother, offering a Sunday brunch menu ($480 per person), where seasonal ingredients are the stars of the show. His soft-boiled egg/corn dish is a stunner, intriguingly topped with popcorn and red shiso. Free-flow drinks packages include G.H. Mumm (+$200) and Perrier–Jouët champagne (+$300). Pop a few oysters too, at a discounted price of $248 for half a dozen or $398 for a full 12. Laid-back Atelier Vivanda’s monthly-changing brunch menu ($398 per person; 50% off for kids under 12) is a multi-course Gallic treat. We’re especially fond of the homemade bread basket (the pain au chocolat is to die for) and the unlimited starters for sharing – on our visit we sampled a sensational smoked beef that paired well with slivers of aged Comté. For the main course, take your pick from one of the restaurant’s signature grilled meats accompanied by unlimited portions of house potato specialities, while dessert features all-you-can-eat portions of French treats such as madeleines and crème brûlée. Free-flow drinks (+$118 for beer, +$138 for house wines or +$198 for Delamotte Brut champagne) can be added. Blue (formerly known as Blue Butcher)’s beloved weekend brunch is back with a vengeance, showcasing a new menu, an extensive free-flow package and live music every Saturday and Sunday. The starters and desserts are served buffet style (from Blue’s infamous pan-fried-to-order foie gras station and seafood on ice to daily cakes and create-your-own crepes), while diners will be spoilt for choice with the main course offerings, including the restaurant’s tender, juicy, well-flavoured steaks. The $390 price tag offers lots of bang for your buck, with free-flow Laurent-Perrier champagne, house wines and beers and select cocktails available for an extra $280 a head. Stop by the new ground-floor butcher shop post-brunch to take home a prime cut for your supper. Channel your inner Don Corleone with Foodie fave Carbone’s raucous Italian-American weekend brunch celebration, The Fiasco, featuring live music and Rat Pack glamour aplenty. 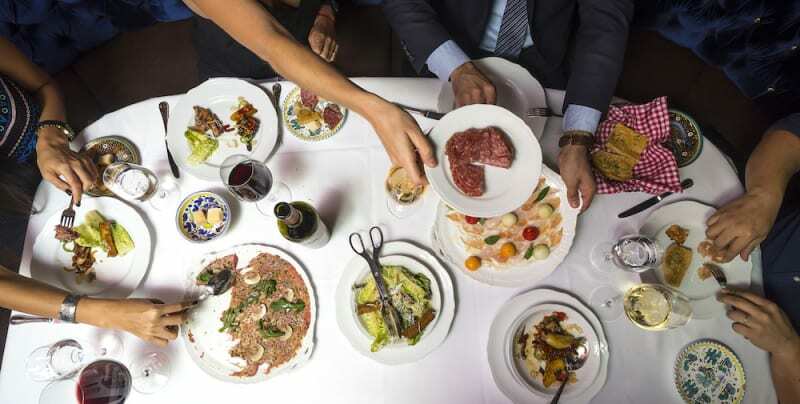 The menu includes multiple courses of Carbone’s specialities, including steak Diane, spicy rigatoni vodka (our death-island dish) and NYC-style lemon cheesecake, all served family style and washed down with a steady stream of wine from the restaurant’s cellar. The damage? 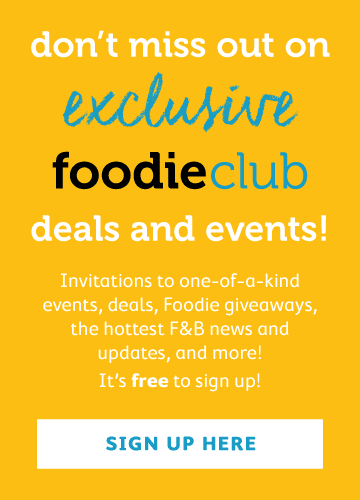 $1,000 per person, with two free-flow options: +$400 for unlimited Prosecco and house wines or +$600 for Ruinart champagne and the restaurant’s signature cocktails. Carbone’s definitely made us a brunch offer we can’t refuse, right, Vito? DJ in the house! Brunch at this grand Spanish bar always feels like gate-crashing a fiesta – the ambience is that fun. Available on Sundays at $630 per person, Catalyuna’s brunch spread is a force to be reckoned with. However tempting it may be, be gentle with the buffet (juices, breads, cheese, charcuterie, salads, seafood and tapas), as there are sandwiches – the toasted ham and cheese ‘bikini’ scented with truffle is justifiably famous – egg dishes and bigger plates of suckling pig and salt-crusted whole fish to follow. A sweets buffet overflowing with cakes, pastries, churros and more is the next challenge. Add $230 for free-flow sangria and cava or +$1,588 for unlimited Krug Grand Cuvée. 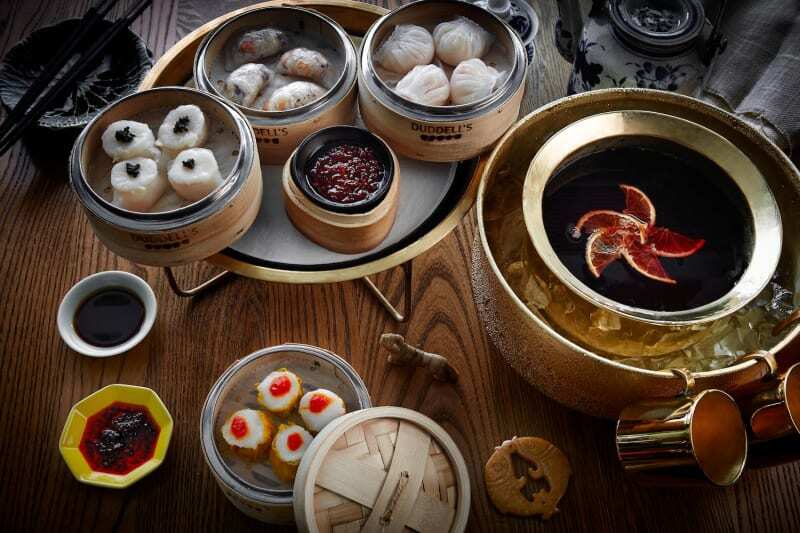 Here’s where to take those out-of- town-guests whom you want to impress with a local touch: two-Michelin-starred Duddell’s Weekend Salon Brunch ($480 per person including free-flow juices and soft drinks; $250 for kids below 10). Showcasing dim sum in all its glory, Chef Siu Hin Chi’s dumplings, spring rolls and buns are fresh, well executed and plentiful, and bigger plates (sweet and sour pork and sautéed shrimp with chilli, for instance), rice and noodle dishes and traditional Cantonese desserts are part of this contemporary Chinese restaurant’s all-you- can-eat deal. The lush and leafy outdoor terrace is another draw, as are the additional free-flow options ($680 for Veuve Clicquot, wine and signature cocktails or $2,380 for unlimited Krug Grand Cuvée). Chef Nicolas Boutin’s Michelin-starred French spot is always a treat, but dining here for weekend brunch feels even more decadent. The three- and four-course menus are pure luxury, spotlighting many of the chef’s signature dishes. We can personally vouch for the delicate house-smoked salmon starter and seafood vol-au-vent main course (with the flakiest, butteriest puff pastry imaginable). For dessert, the molten chocolate cake and caramelised mille-feuille are worthy contenders, but for us it’s all about Épure’s artisan cheeses from their very own cellar. Priced at a relative bargain $398 for three courses and $438 for four courses, all-you-can drink sparkling wine or champagne is also on the menu (+$238–358; two-hour time limit). 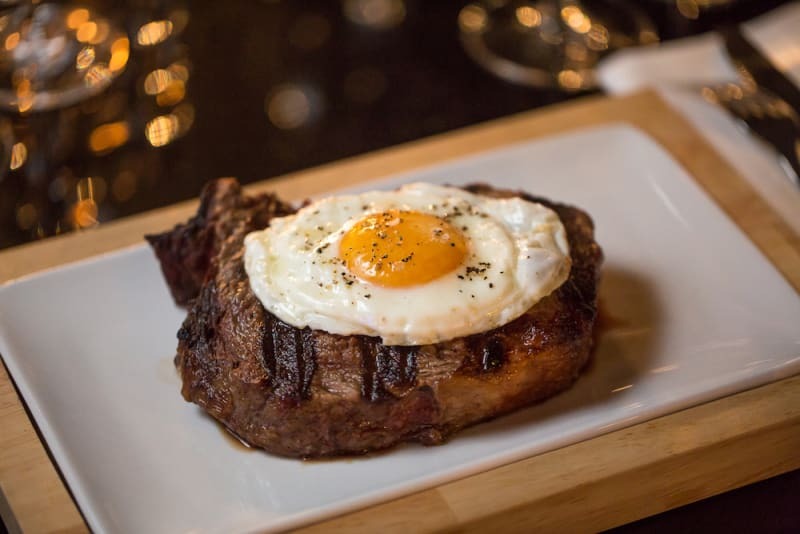 Get that stopwatch ready with Argentinian steakhouse’s Gaucho’s recently unveiled two-hour Bottomless Brunch on Sundays – warning: the timer starts from the moment you place your drink order. The standard brunch features an endless supply of food with all-you-can-drink juices, soft drinks and cocktails ($450 per person), while the champagne option($650 a head) is all of the above plus Veuve Clicquot champagne and a selection of cocktails, wines and beers. Dishes include eggs Benedict, blueberry pancakes, steak and eggs and baked chorizo with plum tomato, egg and mushroom. Chef Gianni Caprioli’s elegant dining room is the setting for an awesome Italian weekend semi-buffet brunch affair (prices starting from $288). 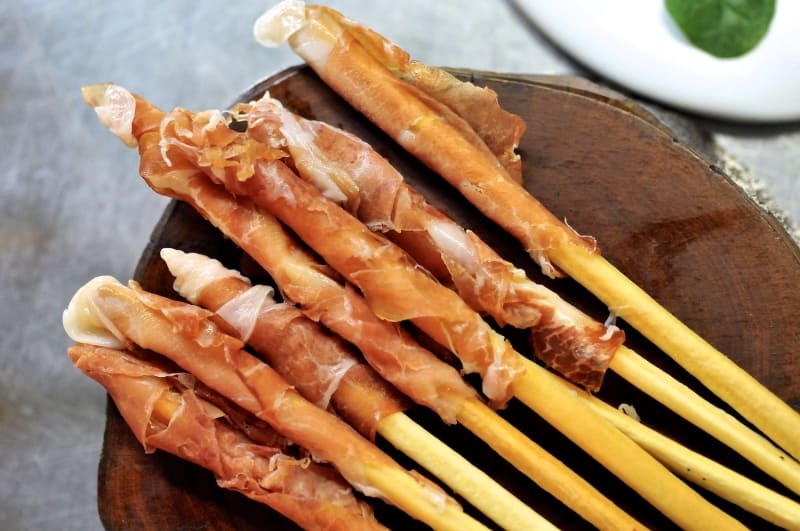 Begin with either unlimited servings from the brunch counter, where fresh Italian cheeses such as burrata, mozzarella and straciatella are king, or opt for a stand-alone appetiser. 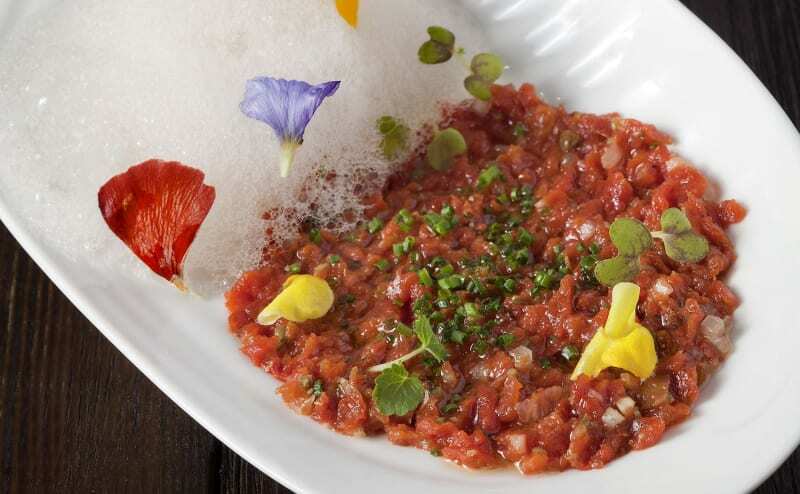 Main courses include lighter options like lobster salad and beef carpaccio or Chef Caprioli’s standout pastas and risottos if you’re in a more carb-heavy frame of mind. Add a little sparkle to your brunch with two hours of free-flow Prosecco for an additional $158 or sparkling wine for $208. We always feel like we’re on holiday when we’re brunching poolside here. It’s a great place to take little ones, and you won’t have to worry so much about the decibels involved. 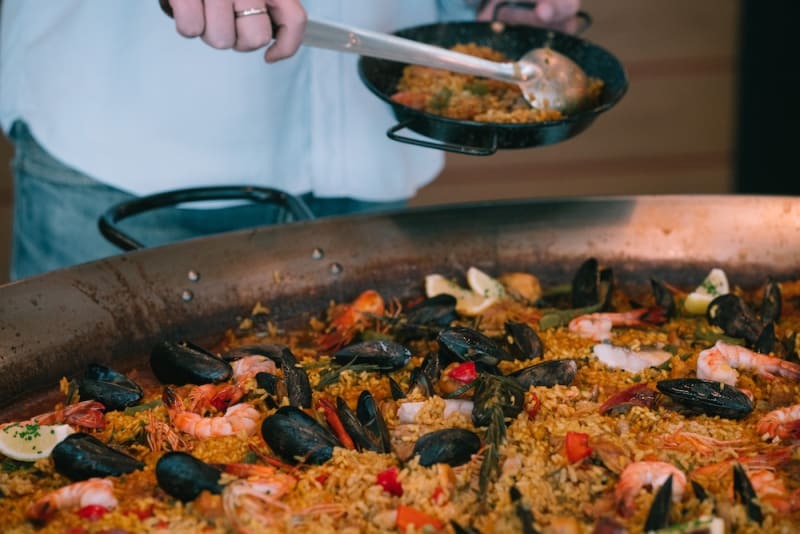 This buffet extravaganza ($538 for adults and $269 for children) includes salads, seafood on ice, breakfast-y egg-centric dishes, grilled meats and seafood – your kids will adore the hot dogs and burgers – and a bevy of desserts. For a supplement of $218, drink glass after glass of sparkling and other wines, beers, soft drinks and select cocktails (make ours a mimosa, please...). 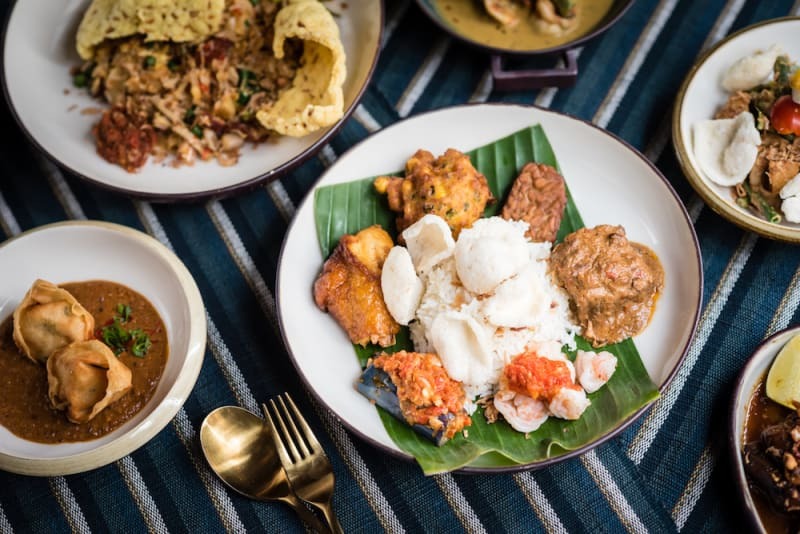 This colourful, vibrant Bangkok import’s semi-buffet weekend brunch is a spice lover’s dream: Issaya’s signature appetiser and dessert buffet, oysters (limited to two per diner), a choice of main course served with Chiang Mai mushroom rice and coffee or tea. We recommend the sea bass glazed with red chilli or the beef short ribs in Panang curry for that perfect sweet and spicy profile that Thai cuisine is known for. Add $238 for free-flow G.H. Mumm champagne. There’s a chilled al fresco terrace to boot. If your hangover’s not too hideous, you can continue right where you left off the night before with Jinjuu’s Weekend Soju Brunch. For $380 a head ($250 for kids aged 4–12), diners will get to indulge in a scrumptious Korean buffet, free-flow sparkling and house wines and a range of cocktails, Korean beer and soju spirits. 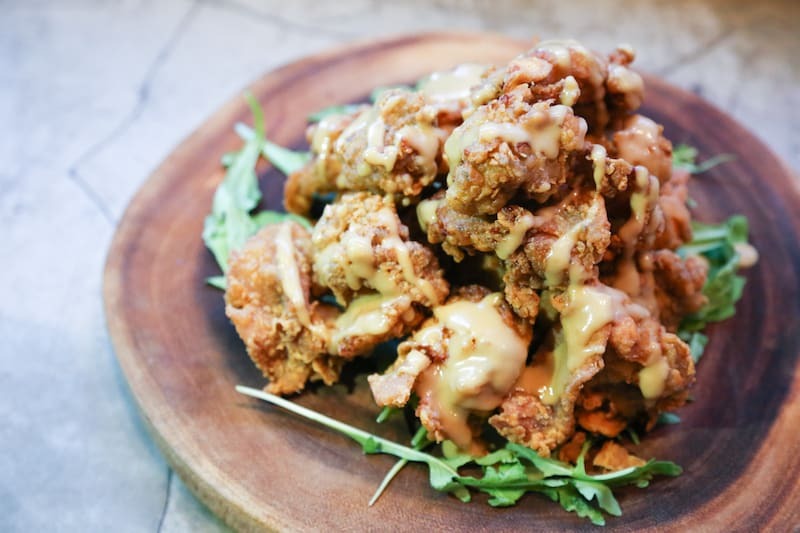 Bibimbap, japchae noodles, bulgogi and Chef Judy Joo’s acclaimed fried chicken are some of the buffet highlights. Shell out only $50 extra to get unlimited glasses of Louis Roederer Brut NV champagne. Part of the lifestyle branch known as Potato Head, so-hip-it-hurts Indonesian restaurant Kaum has rolled out a weekend brunch menu ($395 a head) with unlimited starters (and oh how we love Kaum’s gado gado – a blanched veggie salad smothered in an addictive peanutty dressing – and chicken satay), followed by a choice of main course (perhaps nasi goreng or mie gomak, spicy fried noodles with grilled chicken) and dessert (fresh fruits take centre stage here). Veuve Clicquot champagne, house wines, soft drinks and Kaum’s explosive Indo Bloody Mary can be added for an additional $195. Plate after plate of tapas. Segovian-style suckling pig. Paella served tableside. Made-to-order churros. All for only $250 per person, with the option of free-flow cava(+$160) for those who are in the mood for a tipple (or two) with their feast. We’re big fans of chefs Willy Trullas Moreno and Alex Fargas’ buzzy Spanish restaurant, and this supremely affordable weekend brunch menu gives us another reason to make repeat visits. We’re suckers for steak frites, so we always mark our calendar for La Vache!’s Le Disco Brunch, held on the first Sunday of the month. 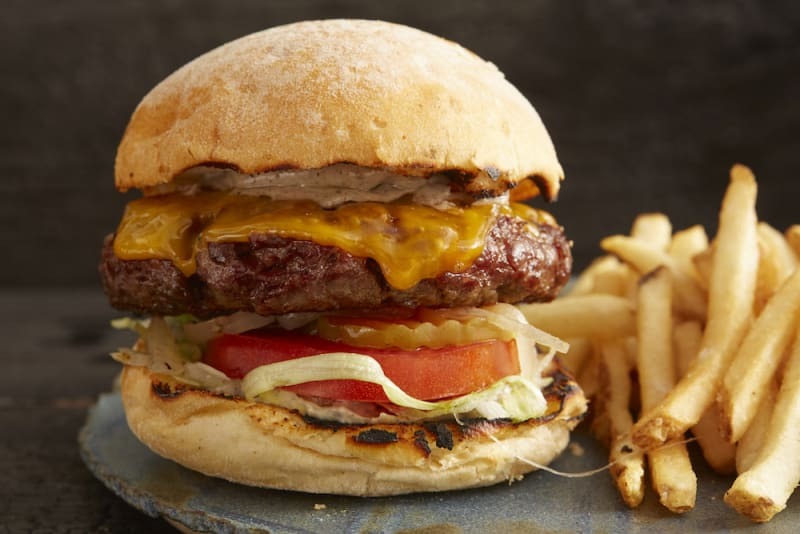 The $488 price tag includes unlimited serves of the bistro’s famous USDA Prime rib-eye and golden fries, plus baguette and butter and a green salad. Wash it all down with La Vache!’s featured brunch cocktail and free-flow house wines. This is one spot where it definitely pays not to eat and run – the house DJ will be spinning away all afternoon. 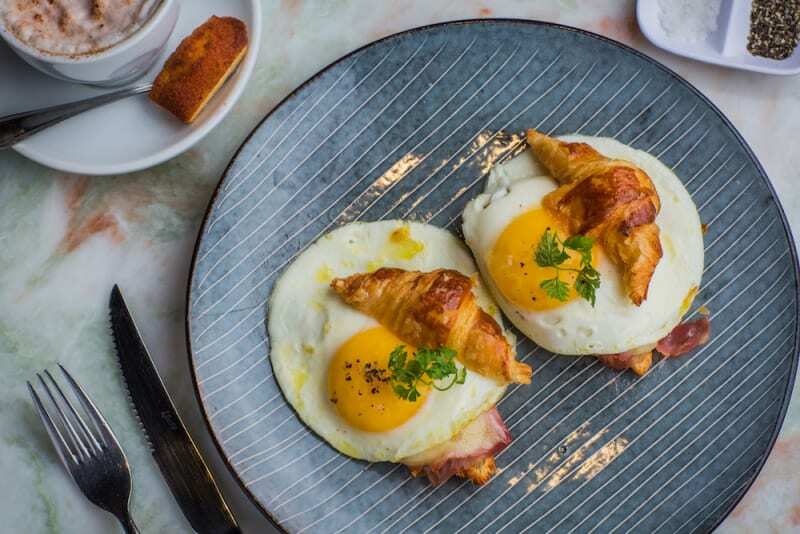 Michelin-starred British chef Tom Aikens’ The Pawn offers two enticing weekend brunch options. In the first-floor indoor-outdoor bar space, the Botanicals Brunch set menu is a straightforward affair: $288 per per person for two starters and a choice of main course ($150 for kids up the age 12, with one main). Supplement with a cocktail or two from the impressive Tripples menu, characterised by their flavour profile. On the second floor, the Kitchen presents two options: $498 per person with free-flow soft drinks, orange juice and smoothies or $598 to include unlimited Moët & Chandon champagne, Bloody Marys, house beer and wine, cider, bottled water, coffee and tea. 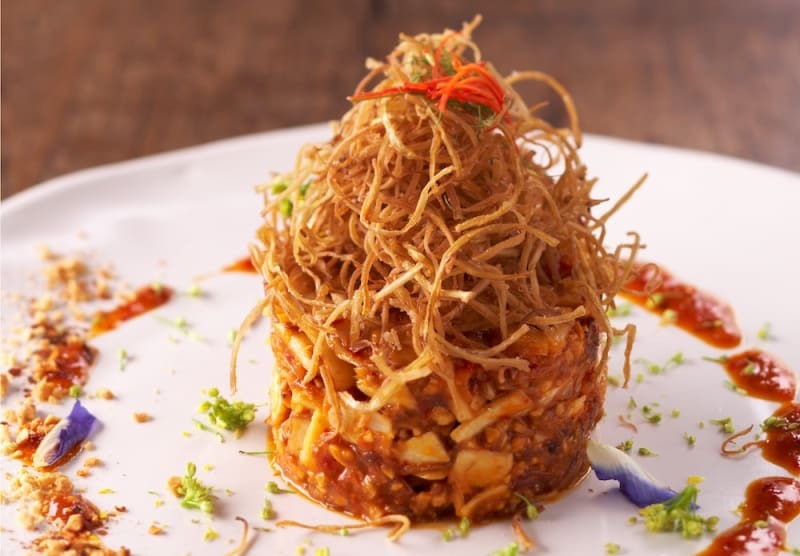 On the food side, dig into a selection of starters for sharing and a choice of main course and dessert. The pudding range is particularly mouth-watering; for us, it’s a toss-up between the chocolate and caramel tart and the sticky toffee pudding. Kids aged 12 and under eat free (one child per adult). On the first Sunday of the month, make a booking at Chef Philippe Orrico’s casual-chic Picnic for the restaurant’s brand-new Picnic Jazz Brunch, where, yep, there will be live jazzy tunes in addition to the moreish three-course menu ($630 for two, to include two glasses of champagne; free-flow house beers, wines and champagne at an additional $190 a head). 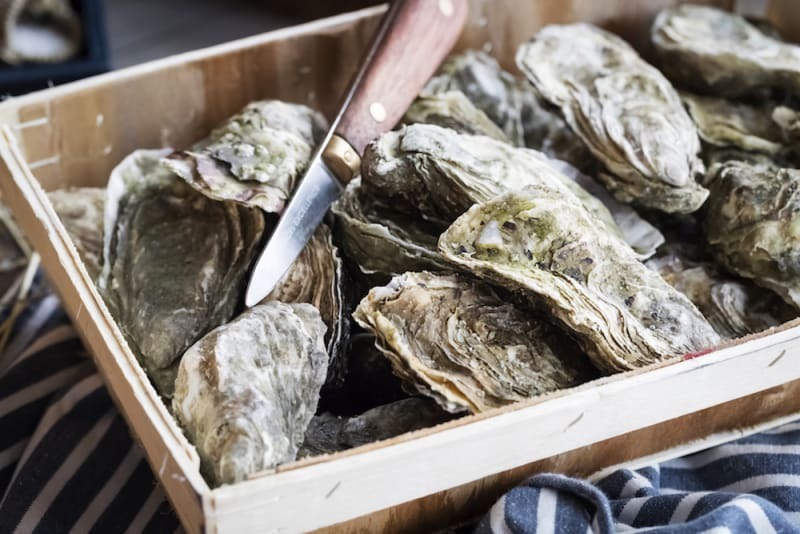 Begin with an assortment of sharing appetisers – with the oysters shucked live right before your greedy little eyes – before moving on to the main course of roast free-range chicken served with fries and salad and a selection of desserts to follow. Paris comes to the Valley with this cosy open-fronted brasserie. We say oui, oui to the weekend Le Brunch menu, with à la carte dishes ranging from muesli with berries and yoghurt ($108), to French toast with honey and vanilla ice cream ($118), to croque-monsieur with fries and salad ($128). Diners have the option of adding free-flow house wines($248) or Ayala champagne($388). A real push-the-boat-out experience for its spectacular harbour views, the Sunday brunch at ToTT’s is a decadent treat. The sumptuous spread is seemingly never-ending, with stations dedicated to seafood on ice, sushi and sashimi, seasonal hot dishes, roast prime rib with all the trimmings, artisan cheeses, desserts and oh-so-much more. Price: $698 per person including free-flow Veuve Clicquot champagne. Zuma's brand-new Cristal Brunch features free-flow Louis Roederer Cristal 2009 champagne at $1,888 a head. 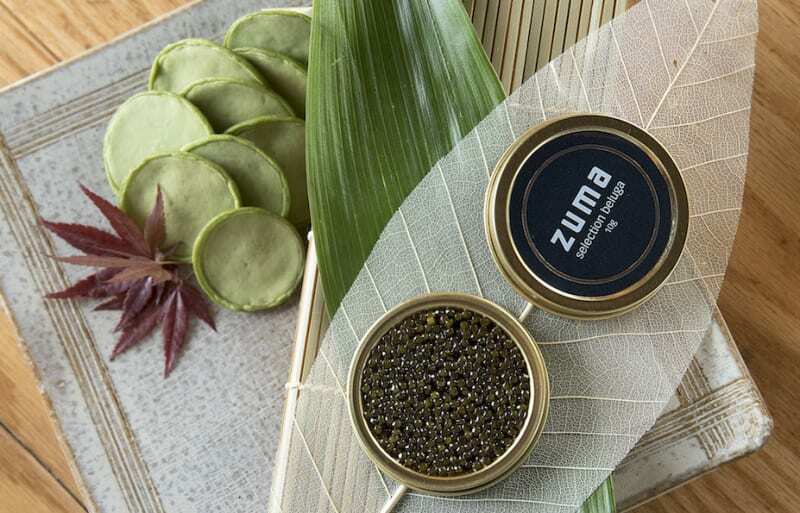 Guests can also opt for the Louis Roederer Brut free-flow package for $650, including Zuma’s signature innovative cocktails. 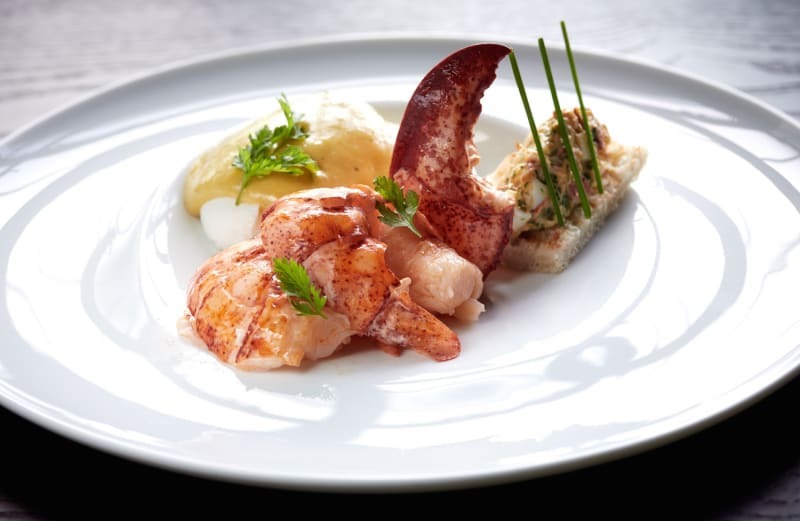 Chef Samuel Wilkes has crafted a seasonally evolving menu to pair with the sensational bubbly, with the likes of Beluga caviar, roasted lobster with shiso butter and ponzu and A5 Wagyu alongside old faves such as miso-marinated black cod, spicy beef tenderloin and grilled back pork ribs. 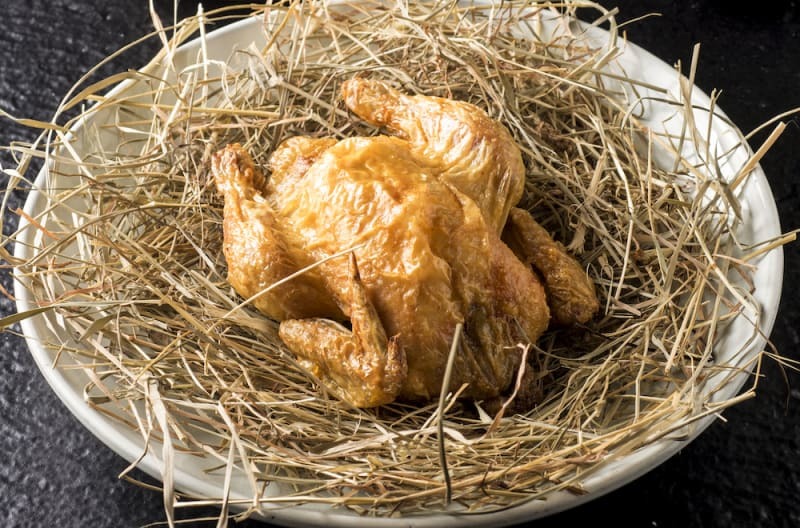 If you’re not ready for all this change, Zuma’s previous brunch packages at $490 and $590, to include beer, wine, sake and iced tea, are still available. Brunch can now be booked in two-hour sittings on Saturdays and Sundays between 11am and 3pm, with a smart casual dress code also introduced.